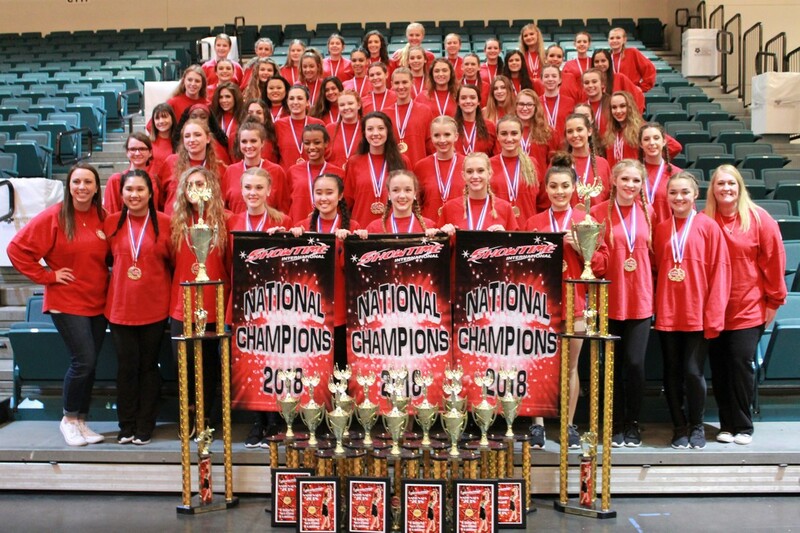 bailadoras win national grand champions for 2018!! The Bailadoras traveled to Galveston to compete at the Showtime Nationals Competition for the 5th time, and brought home their 3rd National Grand Champion Title as a team! This was their most successful trip to Nationals. They won 1st place with every team, elite, and officer dance they entered which led them to win 3 National Titles this weekend alone- National Grand Champion XL Team, National Grand Champion Elite Team, & National Grand Champion XL Officers. We also had 6 solo finalists, won 5 supreme awards, and won an applause award for outstanding precision in every dance over the course of the two days of competition. Overall it was a very successful weekend for the Bailadoras! The Bailadoras were also awarded an applause award for outstanding precision in every dance they competed. TEXAS DANCE CLASSIC on February 17, 2018! Best of the Best Team – this is FIRST PLACE for the entire competition! We received a total score of 872 out of 900! 2nd Place Best of the Best Team – our Elite team won this award. We are required to dance at least 70% of our team for all of our team dances; if we dance less than 70% of our team, then we have to enter that as an elite team dance. Our 3 elite team dances received a cumulative score of 867 out of 900! Best of the Best Officers – this is FIRST PLACE for the entire competition among all of the officer groups! They received an overall score of 871 out of 900! 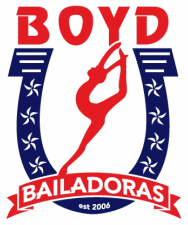 Tote Unlimited Outstanding Team – This award is voted on by all of the other teams at the contest & the other teams chose the Bailadoras! WOW Award – this award was given to our military dance and was chosen for an encore performance at the end of the competition day. This was one of only 3 dances chosen for this award! It was a very long day that began at 6am and finished at 10:30pm, but we could not have been more proud of our girls. They represented Boyd very well! They will be competing at Nationals in Galveston in March…hopefully we can bring home the National Champion title again this year! The McKinney Boyd JV Belles also competed at the Showtime Texas Championship at Boyd High School and walked away with the FIRST PLACE OVERALL JV TEAM Champions Circle Award. They competed against some very talented JV teams from the Dallas area. The Belles also won FIRST PLACE with their team Military, Pom, and Contemporary routines. The JV team also won Sweepstakes and Judges award for receiving 90's or better from all 3 judges for all dances! We are so proud of the JV Belles!! !